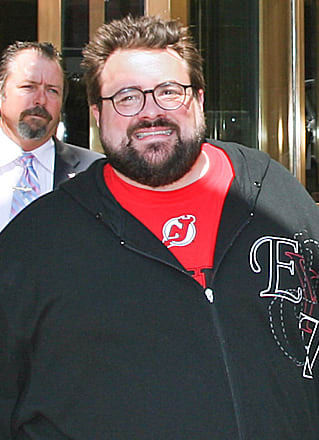 If Kevin Smith's “clothing” — is that a bathrobe? — could talk, it would say “I give up.” Just because you're not built like, say, Hugh Jackman, doesn't mean you should put as little effort as possible in your wardrobe. Buddy, you have options! START WITH CLOTHES THAT FIT. Invest in pants that cover up your cankles. Or, if you really want to look good, simply lose half of your body weight, a la Jonah Hill.